There's something in the air this time of year. I know you see it too. People are nicer to each other. We all seem to make a little extra room in our hearts. We're more accommodating, friendlier, more tolerant. It's just what happens during the holidays. 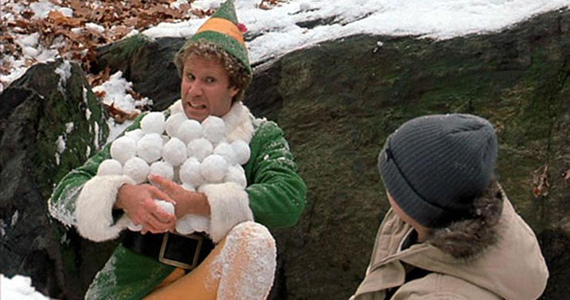 There are few better examples of what it means to truly capture the spirit of the season than Elf. If you haven't seen it, you should. It's actually #3 on Boston.com's list of all-time top holiday movies. 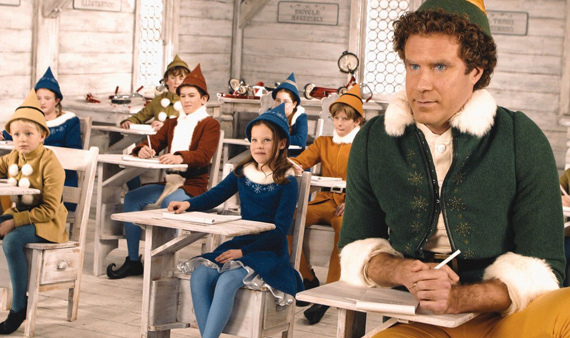 Will Ferrell plays Buddy, a human who was raised by one of Santa's elves in the North Pole. He lives a gloriously innocent and whimsical life working for the big red guy, when one day he learns the truth about his heritage. He decides to venture to New York City to find his biological father. The movie follows his journey as he spreads holiday cheer, experiences the wonders of everyday things we all take for granted, and helps lots of other people open their eyes to the joys of the season, and of life. We thought it would be fun to look through the lens of this movie at one relationship in particular: the one between developers and testers. When looking at how developers and testers get along, you often find conflict and differences of opinion. But in the end, we all have to work together. A good, trusting relationship is probably the most important thing in making a great product. As a benefit, getting along means the job is more fun as well. This is the first - and maybe most important - relationship lesson from Elf. In the movie, Buddy leaves the North Pole in search of his biological father Walter, who publishes children's books for a living, but doesn't seem to care. Buddy (despite how he acts) is a full-grown adult. Meanwhile Walter has his own family - he never knew Buddy existed. Walter eventually finds room in his heart for his new-found son. The point is, it's never too late to work on your relationship. You may have a history of disagreements... but don't give up. Keep at it. You'll get there. Ultimately Buddy and Walter learn to accept each other for who they are. Walter moves past his feelings of humiliation and learns to appreciate Buddy for the genuine man he is on the inside. Buddy learns that even though Walter leads a very different life than anything Buddy's ever been accustomed to, he's still a good person. You have to spend time with each other - real, quality time. That way you learn how each other works. You can try activities like pair programming even between dev and test by building out unit tests together. You can work on performance and quality requirements and wrangle through the way you evaluate results. Share your own ideas and strategies with your counterparts so they begin to learn how you think. The more you do together, the more you will understand and accept each other's viewpoints. Every organization matures. Think about all the ways that working was different even just a few years ago. Tablet computing didn't exist before 2010, and smartphones were virtually unheard of just a few years before that. You have to be open to change. Almost every character in Elf realizes this through the course of the movie. Relationships suffer when the people in them resist change. But when they are open to it, they learn to accept change, and then they change themselves. You can do this by learning about each other's working environments. Make it a habit to examine your process and learn from it. Study and evolve your development process and your definition of "done." If, as developers and testers, you are both open to change and you make that change happen together, you'll find that you can establish new ways of working together respectfully and efficiently. Everything Buddy does in the movie is a story unto itself. There's the time he single-handedly decorated the entire store floor. Or that amazing snowball fight. His entire adventure to NYC is a story. Stories are memories. They give us examples of how we can work together. They create bonds that carry into the way we interact on a day-to-day basis. Stories also have special meaning when it comes to software development. They give developers and testers a chance to learn about customers together. Your UX researchers or product managers sit down and have interviews with your users and then write user stories. Take the time to sit down with them and understand why your users need these particular stories. Stories give relationships a shared foundation - don't underestimate the power of sharing them together. "That's a nice purple dress. Very purple-y!" "You have such a pretty face. You should be on a Christmas card!" In response to a local coffee shop's sign reading World's Best Cup Of Coffee: "You did it! Congratulations! Great job, everybody!" Recognize when your teammates are doing a good job and say something. Even if you don't have anything significant to call out, find something nice to say. Keep your feedback friendly and stay positive and constructive. Saying nice things can change the entire dynamic of a team. Buddy comes from a world of elves, though he himself is human. No matter where he is, he's a fish out of water, and his entire journey through the movie is about his own self-discovery. You have to admire him, though, for the way he always remains true to himself. That makes everything in his life better. No matter who you are - developer, tester, or another member of the team - you need to treat others as one integrated team. Avoid dividing yourselves into "testers" and "developers". Every person on the team brings something important to the table and that individuality is ultimately what makes a team successful. Be yourself. Otherwise, who would? If you let it, this time of year can make you a better person - and a better team member. You'll produce better product and you'll have a far more enjoyable time doing it.